Bibi vs. Barack–And The Winner Is? Benjamin Netanyahu’s speech on Monday before a joint session of Congress may well go down as one of the most influential addresses in modern history. All the elements were present that are necessary to create a phenomenal communication moment–great speaker, outstanding content, electric atmosphere, tension, etc.. But what made Monday’s event in DC so striking was NOT the environment! What arrested the attention of a global audience was THE MAN–Bibi Netanyahu! As a first year college student, I was required (as were all freshmen) to endure what ultimately became one of my favorite classes–Speech 101 (otherwise known as freshmen speech). That one class was, for many students at the college I attended, a make or break class. For me, it changed my life! Because of that single class, I ultimately decided to obtain part of my undergraduate degree in public speaking. That freshman speech class required of us to memorize “The 10 Principles Of The Effective Speaker”–what came to be known by all at the college as merely, “The 10 Principles.” While numbers three thru ten have faded in my memory, I will never forget numbers one and two. Permit me a trip down memory lane, as I mention both to you. PRINCIPLE # 1–The effective speaker is a man/woman whose character, knowledge and judgment command respect. PRINCIPLE #2–The effective speaker is an individual who has a message to deliver, a purpose for delivering that message, and is consumed with the necessity of delivering that message and accomplishing that purpose. If you watched the speech, you realize that both of these principles were vividly at work within Benjamin Netanyahu on Monday. It is the fact of WHO HE IS–his character, knowledge and judgment–that spoke the loudest Monday! Additionally, unction, pathos, whatever you want to call it, that exuded from every pore of his being during the speech, was also evident and in abundance! He was absolutely consumed with communicating to the U.S. Congress and the whole of the American people the reality of Iran’s nuclear posture. When one places this man in direct juxtaposition with Barack Obama, “the leader of the free world” (as he is frequently called), the contrasts are striking!!! There are NO similarities to be noted! No, only unfortunate and tragic contrasts. 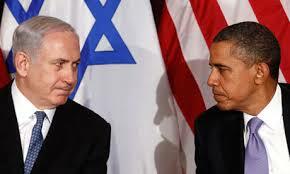 What Netanyahu (though far from perfect) is, Obama is the polar opposite. Bibi speak courageously of protecting his nation! Obama demeans his! Bibi treats his greatest opponent (Obama) with great respect! Obama clearly displays his disdain for Natanyahu via his glaring absence Monday! Bibi unequivocally states his intent to do all to defend his nation, even if he has to do so alone! Obama barely responds, even when Americans are brutally killed by ISIS thugs! Bibi has both an MIT and Harvard degree, yet speaks with simplicity, clarity and courage! Obama has ivy-league credentials, but can’t see that there is NO moral equivalence between ISIS murderers and the crusades! Bibi served his country in it’s armed forces! Barack has nothing but disdain for those who wear the uniform! Bibi is willing to lose an election to speak truth! Barack is the consummate liar and deceiver! And, I have to mention this. Bibi delivers his speeches from prepared note sheets–but does so with power! Obama slickly delivers his addresses from his crutch, the omnipresent teleprompter, yet does so with a passionless aloofness and arrogance! Need I go on? The bottom line is this! These two men couldn’t be more polar opposites! Unfortunately, Israel has the leader, we have the child! Israel has the truth-teller, we have the deceiver! Israel has the statesman, we have the empty-suited imposter! I have no doubt that Bibi’s stock will continue to rise, both here in America and in Israel. At the same time, tragically, Obama is increasingly becoming the laughing stock of the world! The fallout from two distinctly different leaders will be most felt in the nations they lead. As Israel is advanced and defended, America is demeaned and decreased! Since effective, character-filled leadership is non-existent in our White House, it is imperative that God’s preachers rise up to lead! Men, we may be called on to lead in ways we’ve not yet imagined! The future of the nation (humanly speaking) may well rest on our shoulders! So, gentlemen, let’s gird up our minds, sharpen our tongues, and allow our hearts to be infused with Holy Spirit unction! These are days for courageous pastoral leadership! In God’s strength, we are no only sufficient for the task, we are MORE THAN CONQUERORS!! !